Next Generation Pet Food Manufacturing Association was created to come alongside the 2% of smaller pet food manufacturers… those without the budget of Purina… those with nutritionally defensible ingredients… those born of a passion for pets…. those who have previously navigated regulations, law suits and recalls alone. Not anymore. And we’re just in time. Federal Regulations impacting EVERY industry — including ours— are multiplying like gremlins exposed to water. In 2015, over 190,000 new federal regulations were passed. THIS DOES NOT INCLUDE THOSE PESKY STATE REGULATIONS. This is 520 federal regulations passed per day, including Christmas. paying higher fees because we have NO buying power alone; and more. When we show up “en masse” under the flag of an official and organized association, the powers that be will take notice. We will be there asking for ingredient definitions, and advocating for changes to ingredient definitions. We go in prepared, having gathered appropriate and compelling scientific support to bolster our requests. You may be singled out by regulatory agencies — as several of our members have — but our members will never again stand alone. Using our collective resources, connections AND, MOST IMPORTANTLY experience dealing with these regulatory agencies, we will help you navigate AND FIGHT situations including — but not limited to — recall demands. As a collective group we will have more buying power — with packers, for example — than we have independently. Our association — and each of our members — may be a bit of an outsider and may even be considered a bit of a rebel bucking the status quo. For this reason, it is even more crucial to build relationships with those people, leaders and organizations already in place. We’ll be constantly developing these relationships so we have them in place when we need them. Advocacy and Grassroots Lobbying In Congress. it was Congress who created the FDA to oversee food for public safety. We’ll be actively educating them… so they know that there are multiple ways — other than extreme rendering— to create safe pet food. With education, we’ll slowly turn the tide in our favor. In an effort to not leave ANY nutritionally defensible pet food manufacturer unprotected and outside of membership, we’ve created three distinct membership levels, each including all of the benefits listed above. Premium Membership includes all of what you see above, plus quarterly private, closed door meetings with Next Gen leadership each year and complimentary Crisis Management consulting. This allows our premium members not simply to benefit from our united agenda, but to help set it. Silver Membership was created to meet the needs of very new or very small manufacturers (including manufacturers in a co-packing situation) and those experiencing very tough times economically — without compromising their access to all of the benefits of membership. 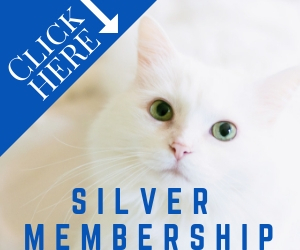 The membership dues of silver members — paid monthly— is subsidized by leadership in an effort to leave NO nutritionally defensible pet food manufacturer behind. We’re doing all we can to increase OUR numbers, so that YOU are BETTER represented. If you haven’t already done so, contact us to join Next Gen. If you know another business that needs what we’re offering, send them my way. We’re ready. We’re united. We’re determined. And we’re going to change our industry… together.